Keeping your body in shape while you’re away from home has never been easier with our air-conditioned fitness center. 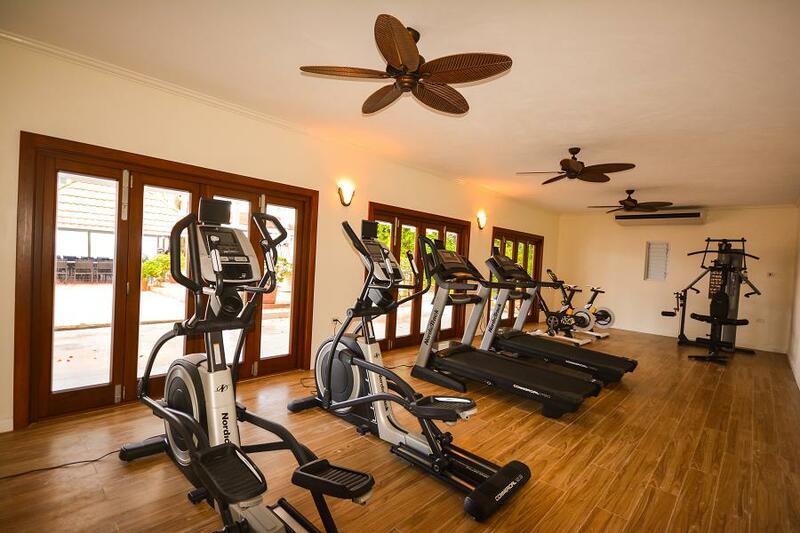 Guests who wish to workout on the latest equipment in the villa's exercise room will have access to the facility 24 hours a day. The exercise room features the latest technology in equipment by Technogym, including treadmill, stationary bike, elliptical trainer and weights. On the lawn near the exercise room, a separate area is available for yoga or pilates, or for stretching or simply relaxing. Private yoga and pilates lessons are also available by reservation.